Dragon Quest XI: Echoes of an Elusive Age is a huge game, so it’s going to be a while before I’m in a position to publish a review. But even just based on the 10 hours or so I’ve played so far, I’m confident in saying that this is, hands down, one of the best games of the year. You can always count on a Dragon Quest game to stick close to the series’ roots. While games like Final Fantasy regularly mix things up in an effort to stay relevant, the core of Dragon Quest has remained largely unchanged in its 30-year run. It’s always the same comical, anime-style spin on European high fantasy, with a story that’s part Hero’s Journey and part coming-of-age tale. The turn-based battle system remains largely unchanged, aside from a few flourishes around the edges. And yet, the series never fails to feel fresh. Whether it’s Dragon Quest III‘s vocation system, the way Dragon Quest VII‘s map grows as you restore each island, Dragon Quest VIII‘s introduction of skill points, or even just a new graphical style and a new set of characters to spend time with, each game has something that sets it apart. Dragon Quest always walks a perfect balance between familiarity and innovation, and that’s what makes it so enduring. That’s as true as ever with Dragon Quest XI. Akira Toriyama’s character designs and the bright, colourful world make the game instantly familiar, and not long after hitting start, the appearance of those iconic blue slimes takes that feeling to the next level. The battle system is classic Dragon Quest, as you and your foes duke it out turn by turn while quaint musical trills and an anachronistic battle log commentate each encounter. The story quickly sets its pieces in motion: a fated hero (you, naturally) known as the Luminary, and ancient evil, an age-old prophecy, and a journey across the world to see it fulfilled. There’s a childhood friend from the sleepy little village where you grew up, a beardly old king who rules over a grand kingdom, and no end of those quintessential Dragon Quest musclemen with their horned yellow helmets. But almost as quickly as it starts, Dragon Quest XI starts subverting its own expectations. I don’t want to give too much away, but suffice to say that an early twist reframes this timeless setup in a fascinating new way. At 10 hours in, the plot is only just getting underway—it’s not unusual for a Dragon Quest game to run upwards of 50 hours, just for the main story—and yet it still feels like so much has happened, and its kept me on the edge of my seat the whole time. 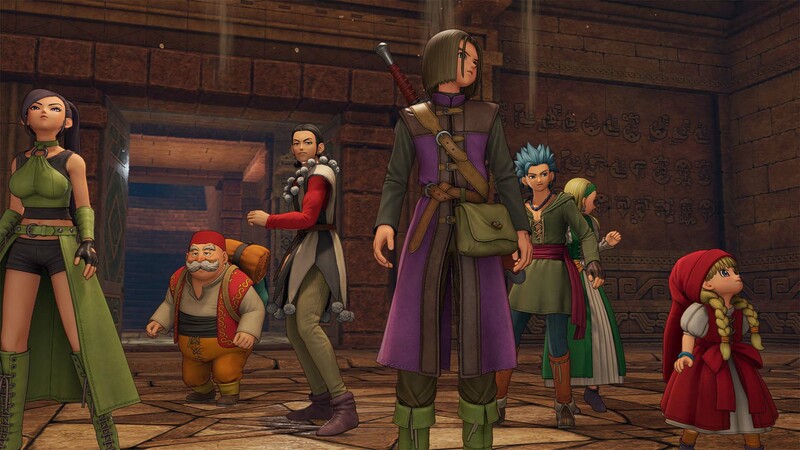 Dragon Quest XI also introduce plenty of gameplay tweaks that seem small individually, but add up to a huge step forward for the franchise. The skill point system is back, but rather than simply assigning points to different talent pools, each character has a whole skill tree with interconnected nodes. The crafting system seen in more recent outings returns, but there’s a whole new mini-game built around it that has you trying to hammer your new equipment out into the perfect shape. There’s a lot more verticality in the level design, playing off your character’s ability to jump and getting almost platformer-esque at times. Perhaps my favourite new mechanic is one that seems functionally useless, but makes battles so much more engrossing: you can freely move around. Everything’s still turn-based, and you can attack enemies regardless of where you are (and vice versa) so it’s entirely superficial, but it does so much for pulling you into the moment in a way that turn-based don’t often do. Topping it all off is how absolutely stunning Dragon Quest XI looks. This is the first game in the series developed primarily for PS4, and it shows in the level of detail and the scope of the world. The opening hours take you across expansive open fields, a dingy sewer, a palatial town, a sleepy little town, and an overgrown forest, and each one looks gorgeous. 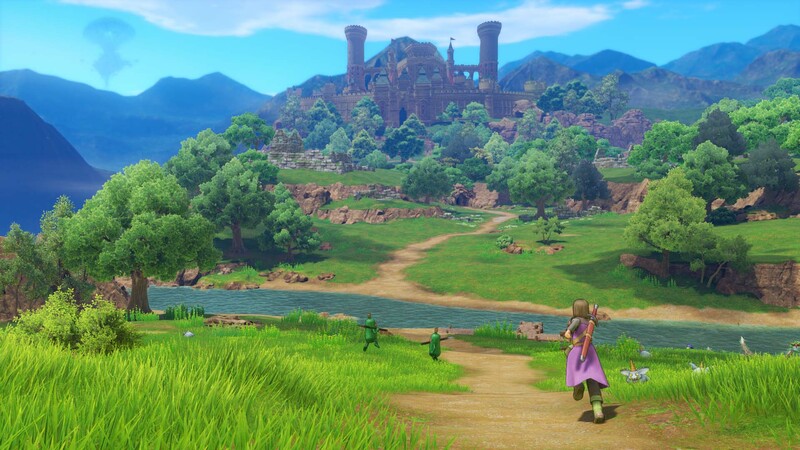 Instead of pouring technical power into making things look as realistic as possible, Dragon Quest XI puts the PS4 hardware to use making the series’ iconic look more vibrant than ever. 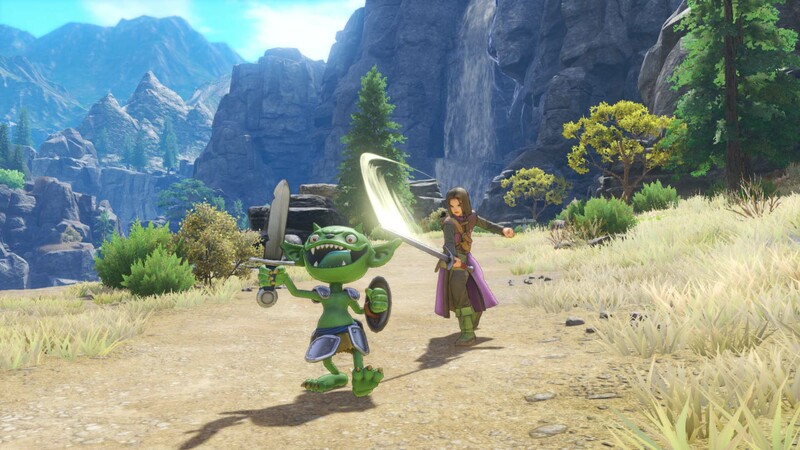 In other words, Dragon Quest XI: Echoes of the Elusive Age is classic Dragon Quest—which is to say that it’s a game that never strays far from its roots, yet feels like it’s constantly pushing new boundaries. What I’ve seen so far is sublime, and I’m looking forward to spending many dozens more hours seeing how it all plays out.